A lovely book about siblings, and the “first rule of little brothers” is not what you would expect. I bought this for Avery, since she has a little brother to think about. We try not to put too much pressure on her as “the oldest” who has to “set an example” in doing the right thing, etc., for her younger brother—rather, we tell both of them that they need to set an example for each other in making good decisions, and that they need to love each other and take care of each other. Of course, they still quarrel a lot but for most part, they are best buds. Any other ways that you all talk to your kids about how to maintain good relationships and solve conflicts with each other? And, any other good books about siblings out there? 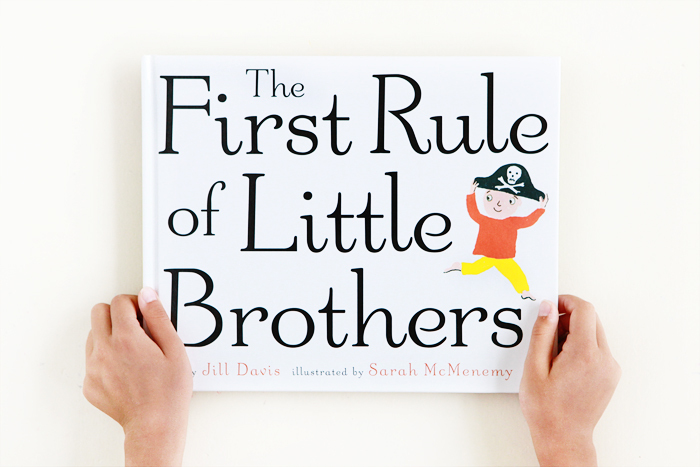 The First Rule of Little Brothers is by Jill Davis and Sarah McMenemy.